Hi. My name is Dustin Rudolph. I've been a practicing pharmacist for over 10 years now, and I'm here to tell you something you may not like hearing. I get a BIG, FAT paycheck every two weeks while YOU (or at least the vast majority of you) stay sick. To put it bluntly, I get rich off of your misery. Why does this happen? It happens because I, along with the rest of my colleagues in the medical field, practice profit-based medicine. We put profits before patients. If this makes you angry then good. If this disappoints you then good. If you're a fellow colleague of mine and me calling it like it is pisses you off then good. Quite frankly, I don't give a damn how it makes you feel as long as it makes you feel something. That way I know I've fulfilled my purpose in writing this article because maybe, just maybe, you'll do something about those feelings which will positively influence how you live your life from this point forward. Before you go thinking that this is going to turn into a one-sided rant against my peers I'll have you know that it's not. I have a lot of respect for the individual people I work with in the medical field. We're only trying to do the best we can for the patients we serve. The only problem is we operate in a dysfunctional healthcare system. We're a product of a system centered upon greed and corruption at the top (read more about this in my articles below). Our Taxes - Are They Making Us Sick? The other problem is we rarely step back, take the time to look at the big picture, and evaluate how our approach towards treating disease and sickness fails those we serve. How did all of this happen? How did we come to a point where patients fail to get the results they deserve? It all comes down to one word - MONEY. 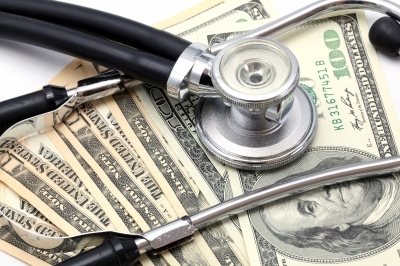 Ultimately, we focus on money as the end result in our medical system instead of health. Ask anybody in charge of running a business, medical practice, or corporate healthcare entity in our country on what's most important in keeping their efforts afloat and you'll get the same answer... PROFITS. Without them you have to close up shop. With them you can continue to grow and prosper. So in the end it comes down to this - RESULTS = PROFITS. As a healthcare provider I think we're capable of more than this. Let me rephrase that. As a human being I know we're capable of more than this. We need to refocus our priorities so that RESULTS = HEALTH. From my experience these results DO NOT include pushing more pills, more procedures, and more surgeries on patients. Instead, it includes educating others on the healing properties of healthy diet and lifestyle choices so that they can live a life free of disease and sickness. Don't get me wrong. There will always be individuals in need of medical tests, surgical procedures, and prescriptions. People will be born with birth defects. People will suffer from rare and mysterious illnesses such as Dravet's Syndrome or Wilson's Disease. People will also continue to get wicked cases of life threatening pneumonia or fall victim to a crippling car accident. It is in these rare cases where pills, procedures, and surgeries are needed. And I'm proud of the fact that we in modern medicine can put Humpty Dumpty back together again when these occasions arise. But back to my original question... how did we get to the state we are in today with such a dysfunctional healthcare system where people get fatter and sicker by the day while healthcare professionals, organizations, and corporations get richer and richer by the minute? More importantly, what can we do about this to change our current course? When I was in 4th grade at the ripe old age of 10 years old I had dreams of success. Big dreams! When people used to ask me, "What do you want to do when you grow up?" I used to answer enthusiastically, "I want to be like Todd!" Todd was our family pharmacist. He was located in the small town of Baker, Montana where I grew up. Baker had a population of only about 1,800 give or take. It was located in the middle of nowhere... literally. I found myself in the middle of farmland and oil fields. There wasn't much to do there. We had one grocery store, a movie rental outlet, and of course the big, red stoplight in the middle of town signifying "city" life. There were only two small, independently owned pharmacies in town and Todd's was one of them. Todd was great! Always friendly, always smiling, always helpful. He always wore that pristine white coat that pharmacists always wear. I liked Todd. I wanted be like Todd. Todd was a good man. And so time passed. I went to middle school and then junior high and finely to high school. I still wanted to be like Todd. I loved math and science. Biology was my favorite class and the medical field really intrigued me. Pharmacy was sure to be a great fit. I could help people, make lots of money, and wear that coveted white coat. Success was only a few years away. I received a lot of respect and admiration at a young age for making such a big decision in life. A decision to go to pharmacy school. Few people from my surroundings or even my family had made such a leap of faith when it came to going off to college. I was someone they looked up to. That was a good feeling to be held up so high. On the inside my ego got a little bigger even though I did my best to remain humble on the outside. Dreams of success were really happening. As I entered college I had no idea what was in store for me. It would be six of the most grueling years of my life. Quizzes, exams, projects, homework, studying, studying, and more studying. It was exhausting and extremely challenging to say the least. I remember wanting to give up one day after taking the final exam in my organic chemistry class. It was my sophomore year in college. I didn't do so. Instead, I found it within me to keep going. I learned a lot in pharmacy school. I learned about hundreds of drugs and how these drugs treat diseases. I was told that heart disease and type 2 diabetes could not be cured, cancer was heavily linked to one's family history, and that those with autoimmune diseases would eventually become crippled by their disease despite the use of the best and most expensive medications on the market. What was left out of pharmacy school was information on the healing properties of the most effective medicines on the face of the planet—plant-based, whole foods. I never realized that heart disease and type 2 diabetes could be completely reversed using diet alone or that foods we ate played a far bigger role than our genetic makeup on whether or not we would get cancer. This was never mentioned, not even once, during the six years I spent pursuing my pharmacy degree. I don't blame my professors or even my college for withholding this information. They were just doing the best they could with the information they had. After all, it was pharmacy school and not dietetic school. My professors were simply sharing the same information and knowledge they had worked so hard to learn and accumulate over their lifetime. I am grateful for their efforts. 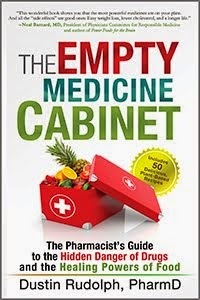 What concerns me now though is what was hidden beneath the information taught to me during pharmacy school. A story of the insatiable quest to accumulate more and more wealth in this country. Again, I don't believe this was at the heart of any of my professors in college. They were good people, making an honest living, trying to make a positive impact on those of us destined to follow in their footsteps. In pharmacy school and in medical school students are taught that the standard of care involves drugs, surgeries, and procedures. It doesn't matter if these methods work or not. It only matters that they produce profits for those running our healthcare system—pharmaceutical companies, medical device companies, insurance companies, and other such healthcare organizations. The only thing that matters to these corporate entities are profits. If it wasn't they'd boast of all the lives they saved and all the chronic diseases they reversed in their annual reports to shareholders. But they don't. They brag about how much money they've made at year end of the fiscal calendar. After all, they're a business and businesses only care about money, not people. Yes, those are 11 digit numbers in case you were wondering. Once again, I'd like to remind you that these companies profit from people staying sick and not from getting well. These corporations also control the type of information that ends up reaching pharmacy and medical schools all across the country or all across the world for that matter. This information is made available in a such a way that always seems to favor the primary interests of these same corporations. Primary interests that involve increasing profits and not ridding the world of chronic diseases. Don't believe me? 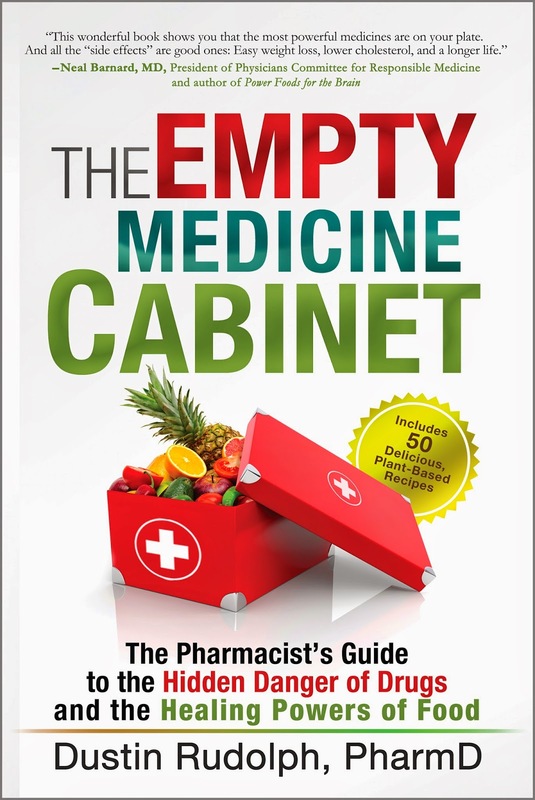 Read this report from a practicing physician in the UK regarding what really goes on behind closed doors in the "healthcare" industry - The Drugs Don't Work: A Modern Medical Scandal. 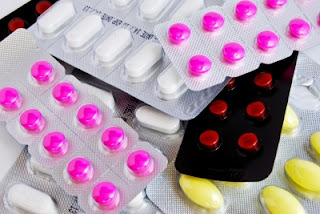 "In 2010, researchers from Harvard and Toronto found all the trials looking at five major classes of drug – antidepressants, ulcer drugs and so on – then measured two key features: were they positive, and were they funded by industry? They found more than 500 trials in total: 85% of the industry-funded studies were positive, but only 50% of the government-funded trials were. In 2007, researchers looked at every published trial that set out to explore the benefits of a statin. These cholesterol-lowering drugs reduce your risk of having a heart attack and are prescribed in very large quantities. This study found 192 trials in total, either comparing one statin against another, or comparing a statin against a different kind of treatment. They found that industry-funded trials were 20 times more likely to give results favouring the test drug." Dr. Goldacre has nothing to gain and everything to lose in terms of his life's work and reputation by speaking so forthright on this subject. His honesty challenges the interests of a multi-billion dollar industry that will stop at nothing to increase their profit margins and bottom line. That's a big fight to wage. But Dr. Goldacre doesn't care. He only cares about helping patients understand their treatment options so that they can make an informed decision on their health and the medical conditions they face. "Dr. Tim Kendall, a practicing psychiatrist and co-director of the commission that did the review says that like Irving Kirsch - they were surprised by what they found in the drug companies' unpublished data. Kendall: With the published evidence, it significantly overestimated the effectiveness of these drugs and it underestimated the side effects. Stahl: The FDA would say that some of these unpublished studies are unpublished because there were flaws in the way the trials were conducted. Kendall: This is a multibillion dollar industry. I doubt that they are spending $10 million per trial to come up with a poor methodology. What characterizes the unpublished is that they're negative. Now I don't think it's that their method is somehow wrong; it's that their outcome is not suitable from the company's point of view. Because of the review, new public health guidelines were issued. Now drugs are given only to the severely depressed as the first line of treatment. For those with mild to moderate depression, the British government is spending nearly half a billion dollars training an army of talk therapists." "None of the drug companies we spoke to was willing to go on camera, but Eli Lilly told us in an email that drug trials show antidepressants work better than placebos over the long term and that 'numerous studies have shown that patients on placebos are more likely to relapse' back into depression. The industry's trade association, PhRMA, wrote us: 'antidepressants have been shown to be tremendously effective.'" Medical schools, pharmacy schools, professional organizations, and healthcare professionals alike rely heavily on evidenced-based data to provide the best possible care to the patients they serve. It's not hard to see that if the information available to those in the healthcare industry is either misrepresented (as shown above) or largely absent in the conversation (as is the case with the evidence on nutrition and health) then patients suffer needlessly because of this. Once again, I remind you that the pharmaceutical industry, medical device companies, hospitals, clinics, and even those of us in the medical field (doctors, pharmacists, allied health practitioners, etc.) will continue to prosper because of such happenings. We all continue to profit off of your sickness. This brings me to a point where I share with you the harsh reality of the situation. In the decade that I've practiced as a pharmacist I've made approximately $1 million dollars (before taxes). That's a lot of money. I appreciate the fact that my hard work has payed off. This is, after all, the definition of the American dream isn't it? You set goals, you work hard, you remain steadfast and persistent, and success is bound to be yours. It's what everyone in our society and culture dreams of. The American Dream. Money, money, money! What I've also realized at this point in my life is that the money I've earned means very little to me. I don't get much satisfaction out of keeping people sick by filling their medicine cabinets full of bags and bags of prescriptions while emptying their wallets at the same time. Instead, what provides me with an incredible sense of joy and fulfillment in life is what I do outside of my pharmacy career. 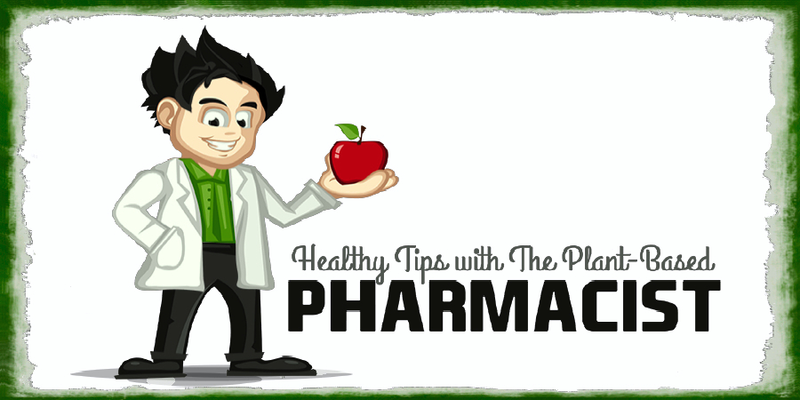 I share information like this to help people get off their medications and beat their diseases. I've been doing this for no monetary gain for over 3.5 years now. And you know what... it's worth every single minute of it because I know it's actually making a difference in this world. It's changing people's lives and for the better. I don't know what life has in store for me at this point in time, but I do know this - I may have started my career as a pharmacist, but I'm pretty sure I won't end it as one. Big changes don't happen overnight. It will take years of planning and execution to do more of what I love, especially if I want to provide a living for myself doing it. But with enough patience and hard work I'll get there; wherever there is. Enough about me though. Let's focus on you now. You are the reason I'm here, after all. Had I known at the age of 18 (before entering pharmacy school) the information that I know today I would have undoubtedly chosen a different path in life. A path of not having entered the drug pushing field for a career. Drugs do a great job of treating symptoms and acting as temporary bandages, but they do nothing to address the root cause of disease and sickness. This is the very reason why I spend so much of my time, energy, and resources to educate those that I serve so that they can hear the truth. It's why I encourage others to make the lifestyle changes necessary to eradicate many of the chronic diseases that plague them. Because in all honesty, I've never in an entire decade of being a pharmacist ever seen anyone return to an optimal state of health and live a life free of disease by taking more pills. I've seen people 'manage' their disease and delay the progression of their chronic illness by taking more pills, but I've never seen them flourish. And I have to wonder how many individuals would choose a better way if they only knew it was an option. Don't get me wrong, I'm all for everyone having the right to choose whatever it is they want to choose in life in regards to their own health. However, as a healthcare professional I feel I have an obligation and responsibility to present all the facts to help others make an informed decision on what they feel is best for them. 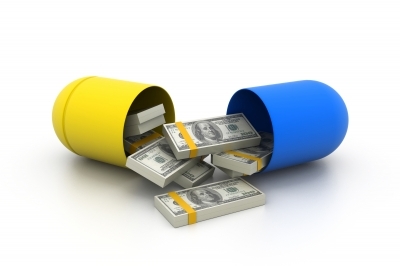 There will always be pills in this world so long as businesses and corporations can make money off them. These pills do provide some benefit, albeit very little in the grand scheme of things. There will also be the simplicity of adopting a healthier lifestyle. A lifestyle that has been proven by medical and scientific evidence to prevent and reverse disease with no side effects and at a very low cost to the patient. I hope that all will at least consider this in their journey towards better health. If you find yourself sick and tired of being sick and tired then I am here to help. If you're a medical professional and want more information to substantiate my claims that lifestyle trumps standard conventional treatments (at least in most cases) then I am here to help. And if you're currently in excellent health and want to keep it that way then I am here to help. Below is a list of resources for everyone to use in their journey towards a healthier lifestyle. Please feel free to share this information with anyone looking to adopt a disease free life. You now have it within your power to experience a lifetime of health and happiness. No more excuses! Now go make it happen before you change your mind! And by the way... I still think Todd is a good man. Eat To Live - Dr. Joel Fuhrman, M.D. Prevent and Reverse Heart Disease - Dr. Caldwell Esselstyn, Jr., M.D. The Starch Solution - Dr. John McDougall, M.D. 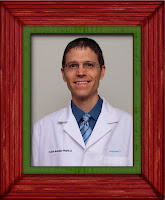 Keep It Simple, Keep It Whole - Dr. Matthew Lederman, M.D. and Dr. Alona Pulde, M.D. Dr. Neal Barnard’s Program for Reversing Diabetes - Dr. Neal Barnard, M.D. The Complete Idiot’s Guide to Plant-Based Nutrition - Julieanna Hever, M.S., R.D., C.P.T. The Perfect Formula Diet - Dr. Janice Stanger, Ph.D. The Pleasure Trap - Dr. Douglas Lisle, Ph.D. and Dr. Alan Goldhamer, D.C.
Eat For Health - Dr. Joel Fuhrman, M.D. Disease-Proof Your Child - Dr. Joel Fuhrman, M.D. Dr. McDougall’s Digestive Tune Up - Dr. John McDougall, M.D. Solving America’s Healthcare Crisis - Dr. Pamela Popper, Ph.D., N.D.
Super Immunity - Dr. Joel Fuhrman, M.D. 21-Day Weight Loss Kickstart - Dr. Neal Barnard, M.D. Senior Fitness - Ruth Heidrich, Ph.D.
Osteoporosis Protection For Life - Dr. Joel Fuhrman, M.D. Latest In Clinical Nutrition - Dr. Michael Greger, M.D. Digestion Made Easy - Dr. Michael Klaper, M.D. It's not any easier on the nutrition and dietetics front. I'm a clinical registered dietitian in Florida and have to battle the disheartening truth that the psychology of continuing to abuse the body seems to be winning over that of embracing health. We have to fight that marketing machine. Apples an kale don't get billion dollar marketing campaigns like burgers and medication do. I care, but I take a beating for it emotionally. Do you find that coming from your perspective you get better results? I applaud your work Stacy. Keep at it. It's people like you that are going to make this lifestyle movement happen. I find that the hearts and minds of the people I am in direct content are changing. At work with coworkers and in my personal life with family and friends I do see positive signs. It is reassuring and motivates me to keep going. Thanks for your comment and for caring so much! Dustin. Thank you for this wonderful insight into the health industry. I am a practicing occupational therapist in Oklahoma and have been studying, practicing and living a whole food plant based lifestyle for several years now. I am giving a three hour workshop on Healthy Eating, Healthy World this weekend at our state convention and will add this article to my "must read" section for attendees ( all OT and COTA providers and university faculty ). Enjoy following your blogs, keep up the great work. Thank you for this wonderful story and sharing it. 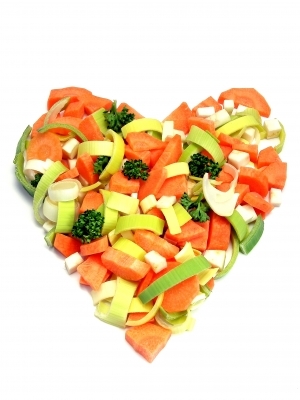 I have seen the results of teaching people about a plant-based diet for more than 25 years. Remarkable things happen when people make positive changes. I would love it if you would add my website http://www.theveggiequeen.com to your list, as well as my DVD Pressure Cooking: A Fresh Look, Delicious Dishes in Minutes. You could also add my books, if you like. I have been teaching the McDougall program for the past 10 years. Anyone who is really smart will eat plant-based for their health. Great post and list of resources. I will post this on my natural health article page. You are a great example of what this work is all about. I can`t believe how honest you are. I live in Canada. Let me tell you the medical professionals here would never tell the truth about drugs or their side effects. Its a sin really that people don`t know the truth. Thanks so much for all the work that you have done to create this site. Really nice to see this article. Proposition 37 - Do We Have The Right To Know?